The bestselling author of A Wrinkle in Time contemplates the true meaning of faith in the third installment of her series of memoirs. Upon her death, the New York Times hailed Madeleine L’Engle as “an author whose childhood fables, religious meditations and fanciful science fiction transcended both genre and generation.” L’Engle has long captivated and provoked readers by exploring the intersection of science and religion in her work. In this intimate memoir, the award-winning author uncovers how her spiritual convictions inform and enrich the everyday. 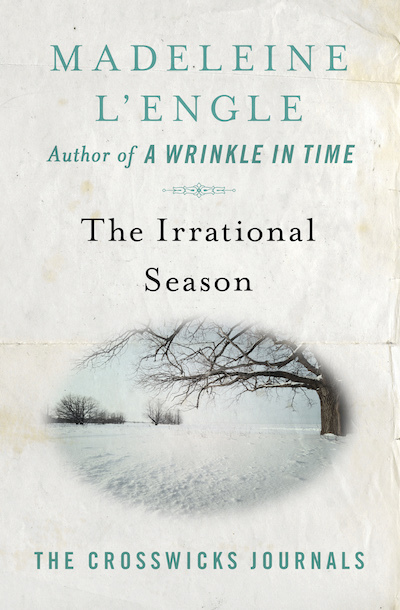 The Irrational Season follows the liturgical year from one Advent to the next, with L’Engle reflecting on the changing seasons in her own life as a writer, wife, mother, and global citizen. Unafraid to discuss controversial topics and address challenging questions, L’Engle writes from the heart in this compelling chronicle of her spiritual quest to renew and refresh her faith in an ever-changing world and her ever-changing personhood.